Only six games remain to be completed in the Belgian Jupiler Pro League, before the basic round is over and the league is divided into an upper and lower play-off. Europe league starter KRC Genk, who already have a lead of nine points on the competition, is currently circling at the top. This weekend, Genk opens the 25th round of matches in the domestic Luminus Arena against Standard Liège! The guests from Liège can also be satisfied with the season so far and can be found with 43 points in fourth place of the table. The gap to the runner-up is only two points, while the lead in seventh place (meaning the lower play-off) is already six points. The leaders from Genk are considered favorites against Standard Liège. The league leaders have suffered the two previous defeats this season in the domestic Luminus Arena. Genk’s win against Standard Liege will be rated at 1.55, with the start of the top match in Belgium scheduled for Friday night at 20:30. Last season, the KRC Genk collected in the regular championship 44 counters in 30 games. The championship play-offs were achieved, but more than fifth could not be achieved. After all, the Europa League ticket was secured at the last moment. This season, head coach Philippe Clement’s team are clearly improving. After just 24 matchdays, there are already 54 successful counters on the credit side. This not only means ten more points than in the previous season, but currently means a comfortable lead of nine points to defending champion Club Bruges and Royal Antwerp. Six games are still to play in the regular season and from the first place Genk will probably be no longer displace. But after 30 matchdays, the points are halved and accordingly, the way to the fourth Belgian championship – the first since 2010/11 – still a long way. Especially the outstanding direct duels against the competition are of great importance. This can be explained comprehensibly using the example of standard Liège. Before the direct duel, Genk has eleven more points than Standard Liège (54-43); this would mean a lead of six points (it will always be rounded off). In the event of a defeat, Genk would only be able to take a cushion of four points. The Clement Elf dominated so far the league at will. With 55 goals Genk has the best offensive, 24 goals also means the best defense in the league. Only two defeats – but both in the domestic Luminus Arena – had to take the league leaders. Among other things, the last home game against Royal Excel Mouscron (eleventh place) was lost. It is interesting that despite only twelve goals conceded in twelve home games, in nine of twelve games the tip on at least one match of both teams was right. On Friday between Genk and Standard Liege for the tip on at least one goal of both teams offered odds of 1.66! In the recent four league games this tip was crowned with success! Last season, Standard Liege under head coach Ricardo Sa Pinto celebrated not only the runner-up, but also the cup victory. Despite these successes, the Portuguese is no longer with Liege on the bench. Michel Preud’homme has taken over after a year-long break not only the role of sports director, but also as head coach at Standard Liege. Similar to the KRC Genk, Standard Liège will complete the basic round better this season than in the previous year. 44 points were collected in the previous year, currently holds the Preud’homme eleven already at 43 meters. The reigning cup winners, especially in recent weeks, presented themselves in impressive form. The last league defeat dates from 2 December. Since losing 3-0 to champions Club Brugge, Standard Liège has been without defeat seven times in a row (five wins, two draws). However, the home record, which is clearly positive with eight wins, three draws and only one defeat, is particularly impressive. In a foreign country, Standard Liège has a balanced 4-4-4 balance. In this respect, in the top match between Genk and Standard Liege, the prediction for the home win is quite permissible. However, given the current constitution, value is not really evident in the low quotas. The table fourth has to renounce on Friday evening continue to captain Sebastian Pocognoli. However, the 31-year-old has been missing for months. Far more serious is the failure of right-back Collin Fai, who has to watch yellowed. Otherwise, however, the complete squad is available. Although the KRC Genk is currently the number one player in Belgian football, not many successes have been celebrated in recent matches against Standard Liège. Of the last eleven matches played in the Belgian league (including championship play-offs the previous year) and in the Cup, Genk could celebrate only one victory, while Standard Liège could win seven of these eleven games. In the so far only seasonal duel of the current season the two teams parted with a 1: 1-draw at the end of October. The late Genk lead (84th minute) was able to equalize standard Liege before home crowd in added time. The superior leader from Genk could take a next step towards winning the title on Friday night. Even if the points are still shared after the basic round, the Clement Elf can already gain a comfortable lead. With 16 wins in 24 games and just two defeats, the Europa League starter deserves first place. The significant role of favorites in the game between Genk and Standard Liege according to current odds but is a bit too clear. Finally, Standard Liege can certainly be described as a kind of “fear opponents” of Genk. Best offensive, best defensive – Genk dominates the league! 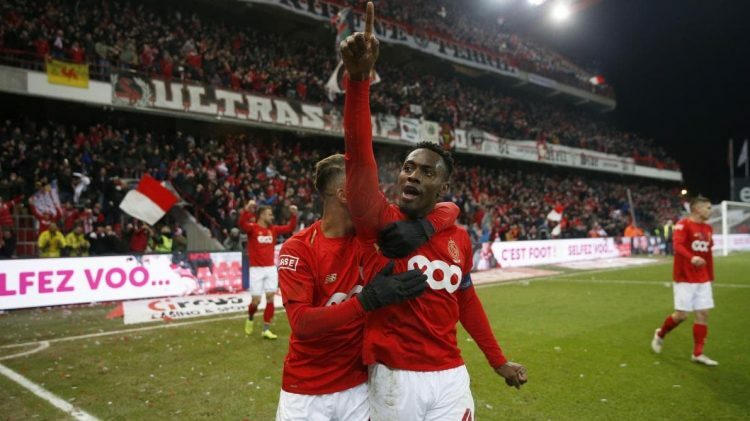 Standard Liège celebrated five wins in the last eight league games against Genk! Standard Liège has not lost for seven league games! Only one of the last eleven direct duels (league and cup) was won by Genk. Based on these numbers, a value at odds below 1.60 on the home win is not really to be discovered. Both teams have a lot of quality on offense. As a result, the tip on the over 2.5 in the eye between Genk vs Standard Liege. However, the recommendation falls on the bets that both teams will score at least one goal. For one thing, the odds on these bets are slightly higher (1.66 instead of 1.60) and we can not imagine a 3-0 win for a team. Nice side effect is that a 1: 1 would already be enough, while the over 2.5 would be wrong.